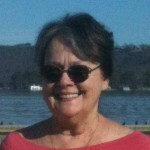 Have sewn off and on since I was fourteen. 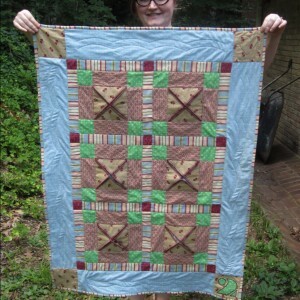 I quilted a couple of times on my own in the kids-at-home era, but did not revisit the art until my retirement. 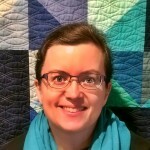 Now I'm in two quilting groups...one a very come-as-you-like, quilt-what-you-will, a-rule-book-and roll-call-short-of-a-guild group, and the other a local chapter of Project Linus, which makes quilts for donating to sick/injured/or misplaced children. 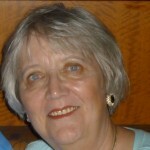 Found Jenny's tutorials back in 2010, and have learned much of what I do with her help. 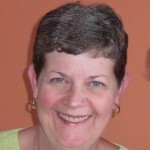 Thank you, Jenny! 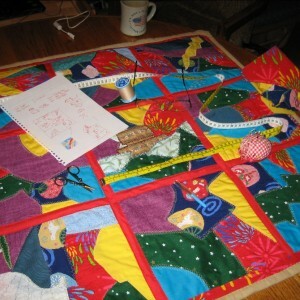 This was a quilt made as a Project Linus donation. 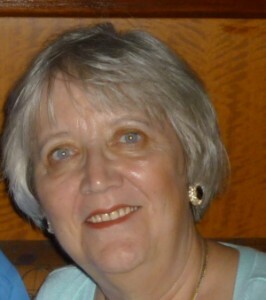 The fabric was chosen both from donated fabrics and my own stash, along with some from Hobby Lobby. 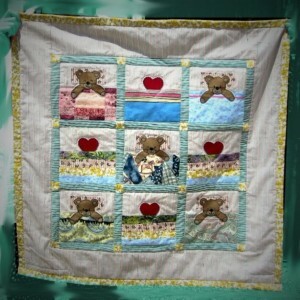 The bears, pillows, and hearts were appliqued onto the pieced blocks. 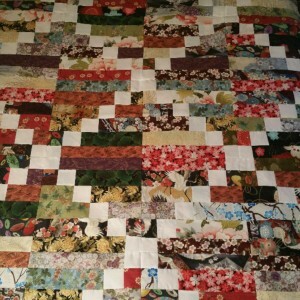 I had scraps from a quilt I had made for my daughter and decided to downsize the original using the scraps. 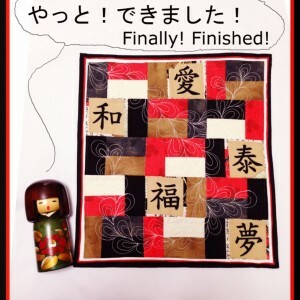 This was the result, shown by a kokeshi doll. 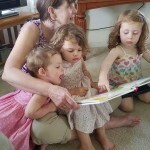 This one was for my first granddaughter. I used precuts for the color pieces except for a very few which were from scraps of my own little girl's dresses I had made. 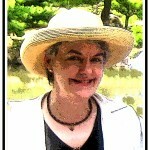 My cell phone camera helped in identifying tones with a tonal photo. 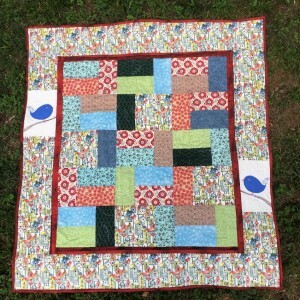 This quilt's bluebirds came to be when I miscalculated the border length and needed an extension plan. Not confident with my bird drawing skills, I looked on the net until I noticed some modern art birds were not much more than big commas with eyes, beaks, and a feather or two on the tail. Problem solved. Completed it becomes my Project Linus 2017 donation quilt. 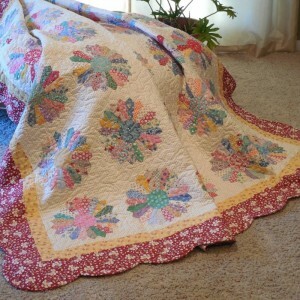 Saw this pictured in an old quilt magazine article, but without instructions or measurements. Challenge accepted. 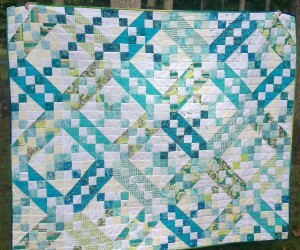 And another Project Linus quilt comes together. 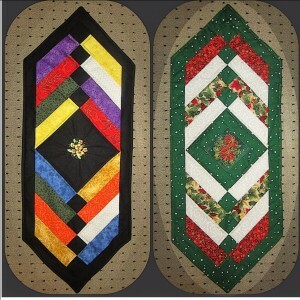 I found this Super Sized Nine Patch pattern by Anita Grossman Solomon, and thought it was perfect for FMQ practice and as donation quilts. 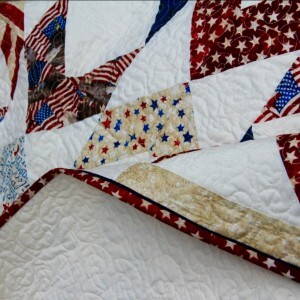 It uses only six yards of fabric for three crib size quilts and cuts quickly using her three slice method. I believe Jenny had a session with her on this, but am not sure. Saw this on Jenny's tutorial, and loved the use of the friendship braid. 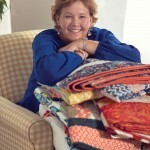 My stash had some fabric colors along the lines of what she had used, and that took care of side one. The backing, however, posed a problem, until I decided to make the runner's reverse side Christmas themed and use a pillowcase turning (no binding) for it. 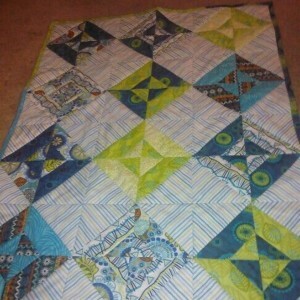 Lining up the two sides for quilting was a real pain. REAL, REAL, REAL pain, but I like the end result...even though some of the stitches are a bit off. 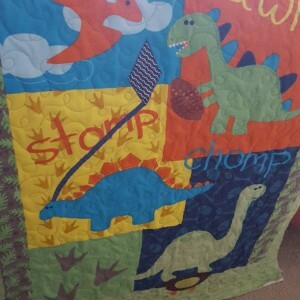 When my first grand turned two, I made this Peek-a-Boo quilt for him. 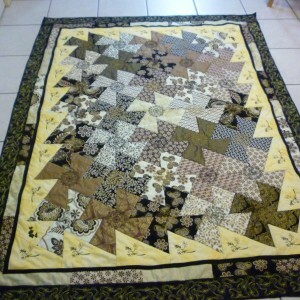 It was my first time to use chain piecing. Also, I used a large font design to trace onto some Heatbond Lite for the lettering applique. I even employed my low-end embroidery machine for a label. 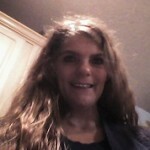 Fun how much one learns with each new project! 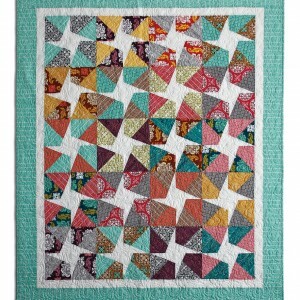 This quilt was done at a quilting friend retreat. 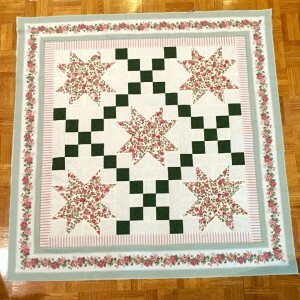 One lady, who had been quilting longer than the rest of us, though she was quite a few years our junior, provided the general pattern and we each put our own tweaks to it. 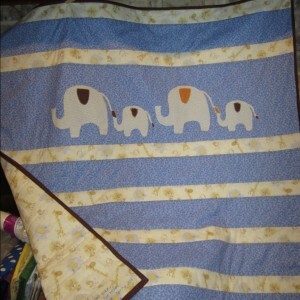 My tweak was to have elephants marching across the strips of fabric. When I mis-cut the backing, a large (unplanned) piece from the front was used to mend the gap. It was this fortuitous error which provided the perfect backdrop for the appliqued monogram that followed. Talk about lemonade from lemons! Now if this ol' elephant can just remember that trick should it be needed again. With nine days until the baby shower, I shopped fabric, designed blocks, and completed this baby "play rug/quilt", which I consider as having been inspired. 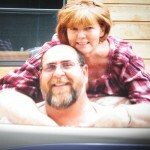 At the time I was working seven to five days and only had evening and weekend to do this. 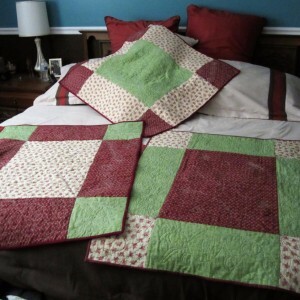 It was the first quilt I had made in ten years and was before I had started doing other than look at pictures for hints of "how to". 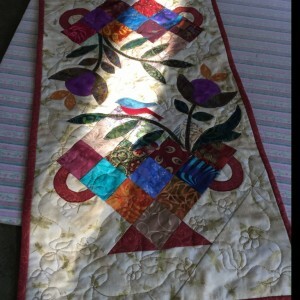 This project's fabric composition was inspired by some donation butterfly prints The pattern of the quilt top was from an old quilting magazine, and the back was pieced using sheeting and some of my favorite leftover blocks of one of the butterfly prints. When my nephew Robert found out he had pancreatic cancer at the age of 48, I made this for him because as I could not be with him .He loved it and carried it from room to room his sister said. It was not much, but it made us feel closer. 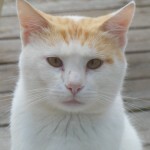 Robert passed away barely two months later. I will forever call this pattern Robert's pattern. Made this table runner today using Artisan Batiks fabric. Center is fabric I had in my stack. Used Jenny's Binding tool tutorial. Did everything by machine. I used elmer's glue for the first time. I will be using it again. 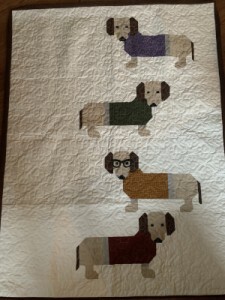 I made this quilt for my mother-in-law as a Christmas gift. 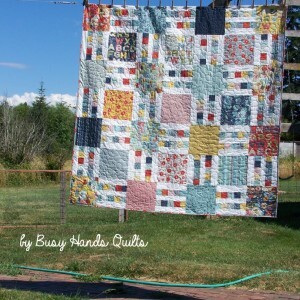 Jenny's Crazy Quilt tutorial (Halloween theme) was the inspiration. 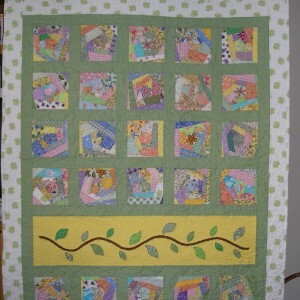 I added sashing and an appliqued vine & leaves. The blocks were very easy to make. 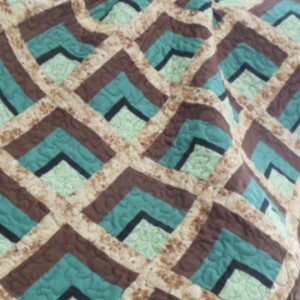 This was the first quilt that I tried FMQ. 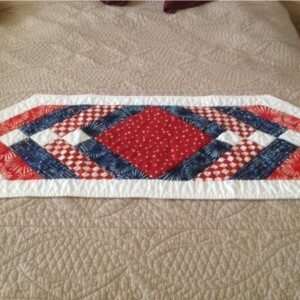 Last week I put in the Twister pattern done in Red's. 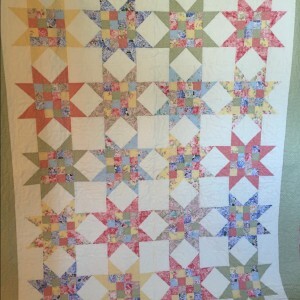 It is a template called Twister by CS designs. This week I have another which is done in Black & Gold. I also used my embroidery machine to put a medallion in the center of each fan or pinwheel . 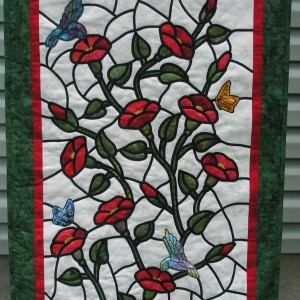 I did a sprig of black flowers on the yellow outside border with a butterfly and dove. And finally on the outside border of black I did like a trellis of gold flowers and leaves. 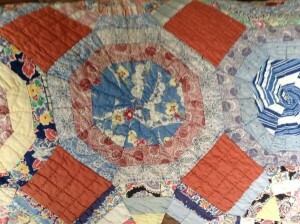 I stitched in the ditch also of the pinwheel but missed a few ditches I see. 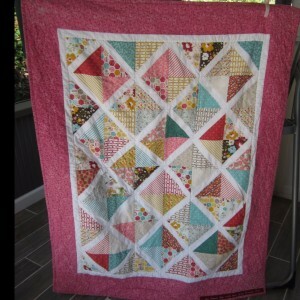 This could fit a twin bed but would be a nice wall hanging too. I bought this quilt panel and wanted to add a sport theme to it. So I apliiqued a skate board, kite and football into it. This was made for my nieces baby. Using HST's, print and stripped background fabric. No particular pattern was used, just an ideal taken from pinterest. 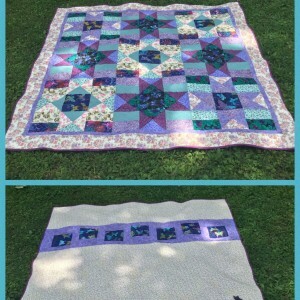 I made this quilt for my mother-in-law's birthday. I picked the pattern from my favorite magazine- Block! What about doing this one before next summer?